But AdventureWorks has been around for almost 10 years, and SQL Server has changed quite a bit in that time. To showcase all of SQL Server 2016 and 2017’s features, Microsoft has given us a new sample database that replaces AdventureWorks. That database is WideWorldImporters. You can download the latest version of WideWorldImporters from Github. 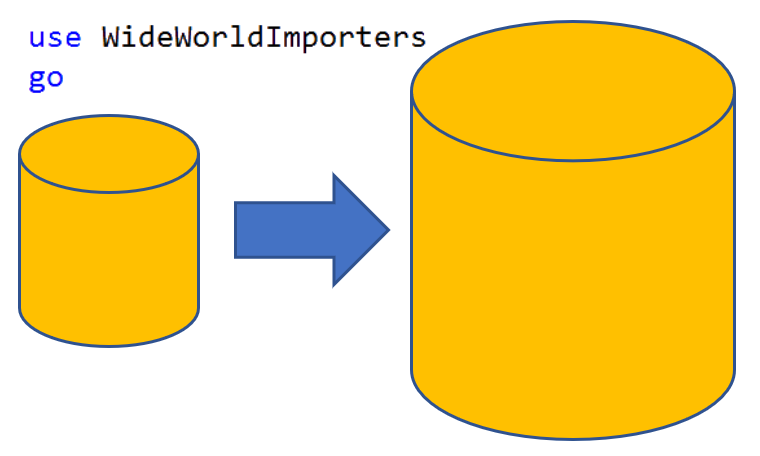 Once you restore the backup of WideWorldImporters, you’ll see that the data is fairly small, again. This was intentional, to keep the download size small. But this time, Microsoft has provided us with a built in stored procedure that will generate new data for you. That procedure is named DataLoadSimulation.PopulateDataToCurrentDate. @AreDatesPrinted bit – Print the working day to the results window. The parameter @AverageNumberOfCustomerOrdersPerDay is the average number of orders per day. The actual number will be around this value. The parameter @SundayPercentageOfNormalWorkDay is the percentage of orders generated on a Sunday. If your @AverageNumberOfCustomerOrdersPerDay is 40 and @SundayPercentageOfNormalWorkDayis 10, you should see around 4 orders per Sunday. The parameter @SaturdayPercentageOfNormalWorkDay is the percentage of orders generated on a Saturday. If your @AverageNumberOfCustomerOrdersPerDay is 40 and @SaturdayPercentageOfNormalWorkDay is 20, you should see around 8 orders per Saturday. The parameter @IsSilentMode controls the verbosity of the stored procedure. If @IsSilentMode = 1, you will not see any details. If @IsSilentMode = 0, the procedure will list all of the tables with new data for the current day. The parameter @AreDatesPrinted controls wheter the stored procedure prints the current working day or not. A warning, this procedure is pretty slow. Microsoft estimates around 10 minutes per year. I’ve seen DataLoadSimulation.PopulateDataToCurrentDate run slower, but this was on non production systems.